all abandoned - loose goose resort - what's that, lassie? Timmy abandoned you in a hotel? This was particularly bothersome to me because, as mentioned elsewhere, the care takers lived on site. 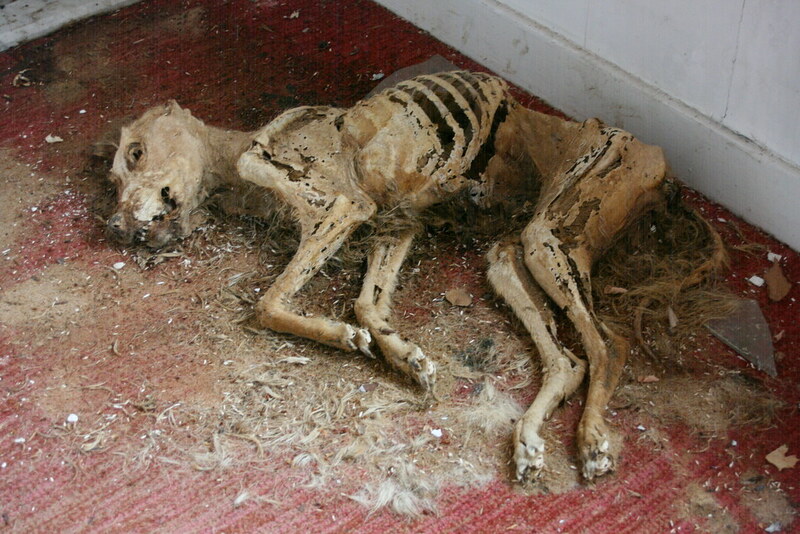 There is a very low probability that they didn't know this poor dog carcass was sitting in the staff building, rotting away to dust.